Minister for Education, Culture, Youth Affairs, Fisheries and Agriculture, Dr. the Honourable Natalio Wheatley was sworn in as Deputy Premier today. 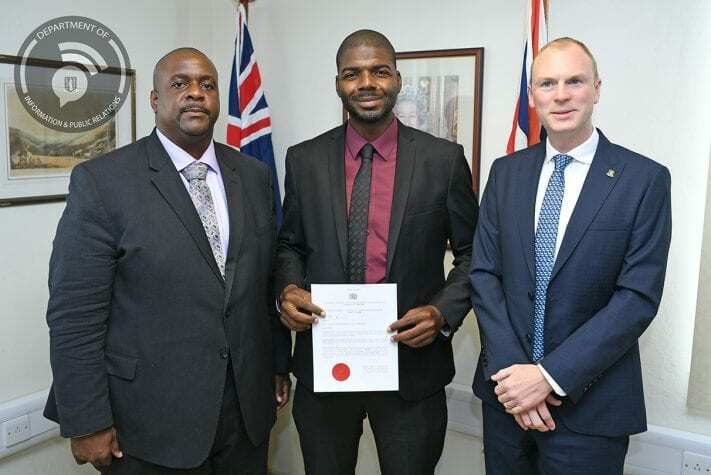 His Excellency the Governor Mr. Augustus Jaspert acting in accordance with Section 52 (2) of the Constitution of the Virgin Islands and with advice from the Premier and Minister of Finance, Honourable Andrew A. Fahie, appointed Hon. Wheatley as Deputy Premier for a period of three months with effect from March 6, 2019. Premier Fahie congratulated Hon. Wheatley on his appointment and thanked Governor Jaspert for allowing the Government to follow through on an unconventional area of the Constitution which allows the appointment of each minister to serve in the post of Deputy Premier for three months. Premier Fahie said that the temporary appointments allow for each minister to get the experience and ensure that they develop in all areas of Government, and that after the first year someone will be named permanently to the post.